There are a range of museums to choose from in the booklet including the California Academy of Sciences and the De Young Museum, but we decided to go for the option that sounded most fun. 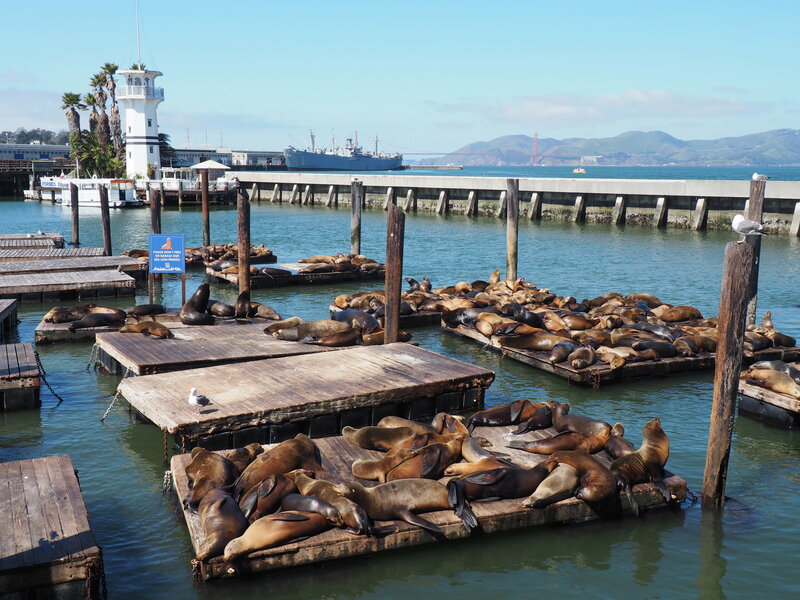 A pleasant stroll along the waterfront in the sunshine took us past the adorably cute but extremely smelly sea lions at Pier 39 to the Exploratorium, a museum combining a host of fascinating experiments and installations, from science and art to human perception. 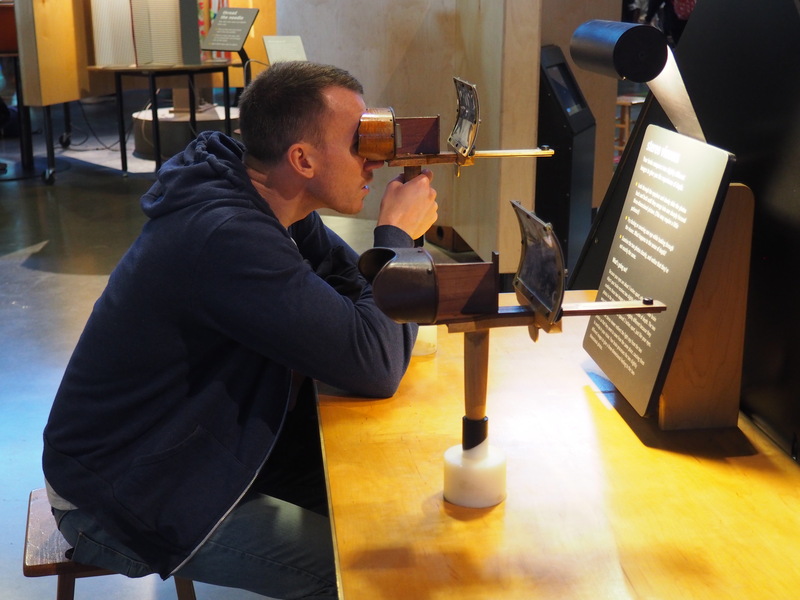 With over 600 interactive exhibits it’s the perfect place to take children in San Francisco and can honestly keep them entertained for hours. I had my big kid (aka Mr Ayla) with me so we fitted in perfectly but even for adults, this place is thoroughly entertaining and interesting. It was refreshing to just wander around and have some fun for a change instead of the constant sightseeing we had been doing so far on our American adventure (although don’t tell Mr Ayla I said that otherwise he’ll expect me to be more relaxed with our itineraries in future!). Unlimited use of buses, trains and the cute vintage cable cars is included in the CityPASS which meant we could easily hop on any public transport to explore other areas. A sweet relief from walking in a city as hilly as San Fran! 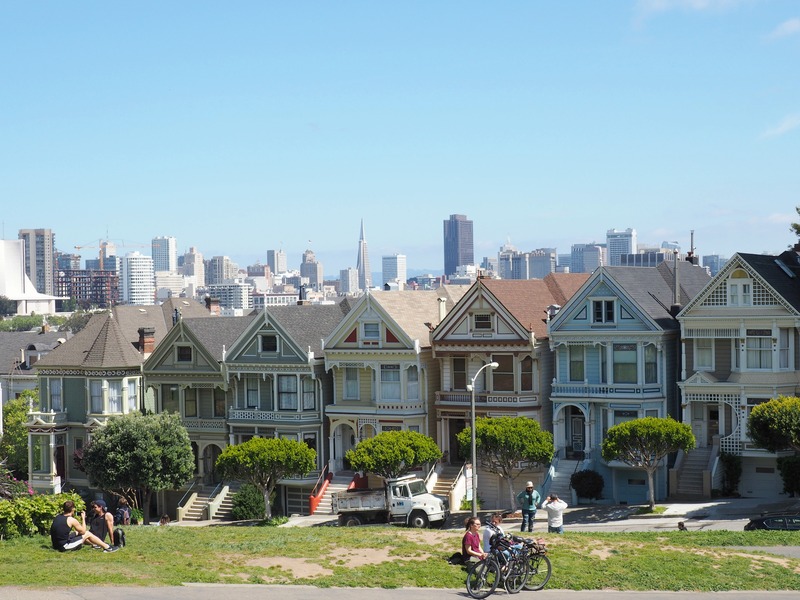 Our adventures took us to the colourful row of Painted Ladies in Alamo Square where we sat in the sunshine with a view over the city; to buzzing Union Square surrounded by trendy shops and fancy cocktail bars; and up to Lombard Street, one of the crookedest streets in the world, that was buzzing with tourists and cars all attempting to navigate the windy road. 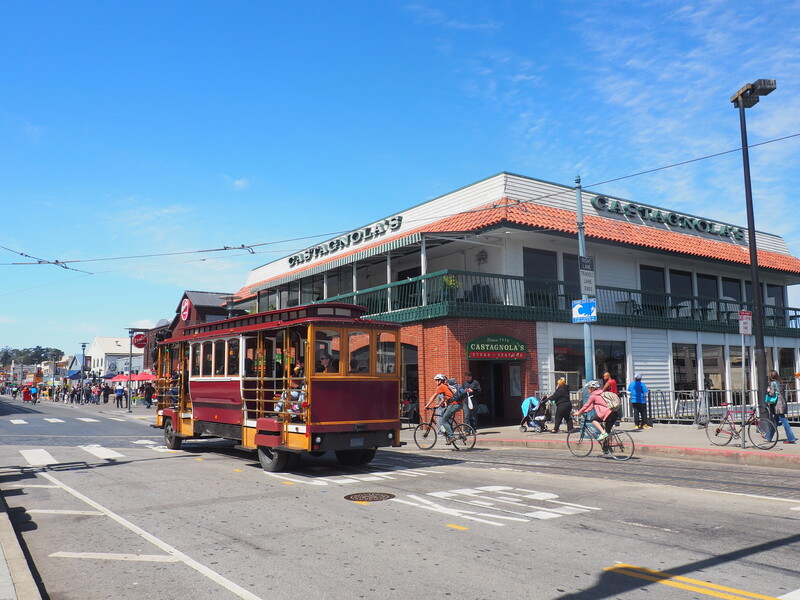 I was most looking forward to using the historic street car, an old fashioned tram with uniformed conductors who pull a big lever to get going and ring the bell as we set off. Grabbing a spot on the outside is the most fun where you stand leaning out of the car – as long as you can manage to hold on tight enough going up those hills! 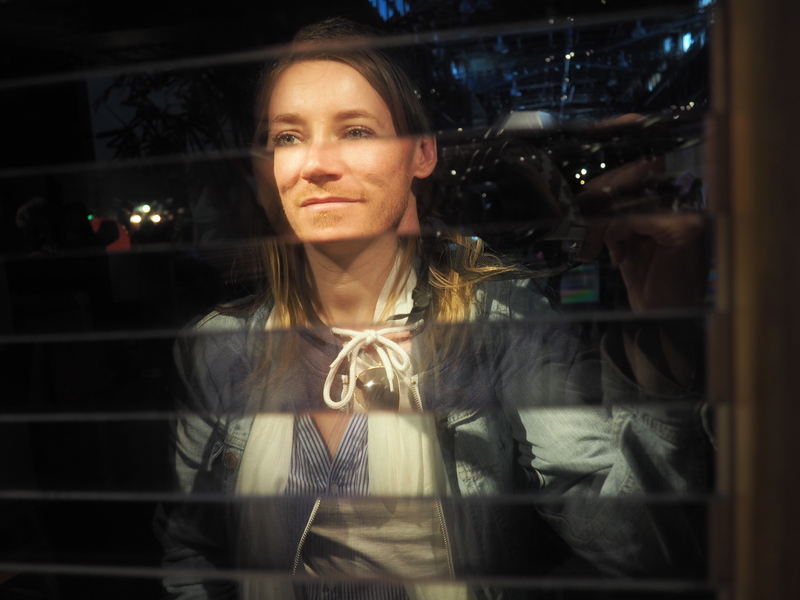 It’s no secret that I love my animals so one of my favourite inclusions on the CityPASS is a visit to either the Aquarium of the Bay or the Monterey Bay Aquarium. 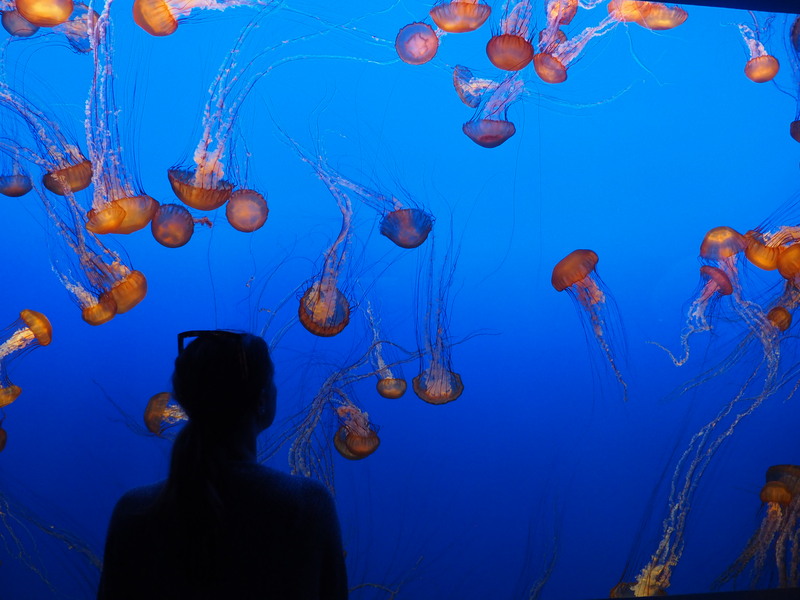 We would be driving down the coast through Monterey a few days later and, as I’d already heard that its aquarium is one of the best in the world, we decided to save our passes until then. 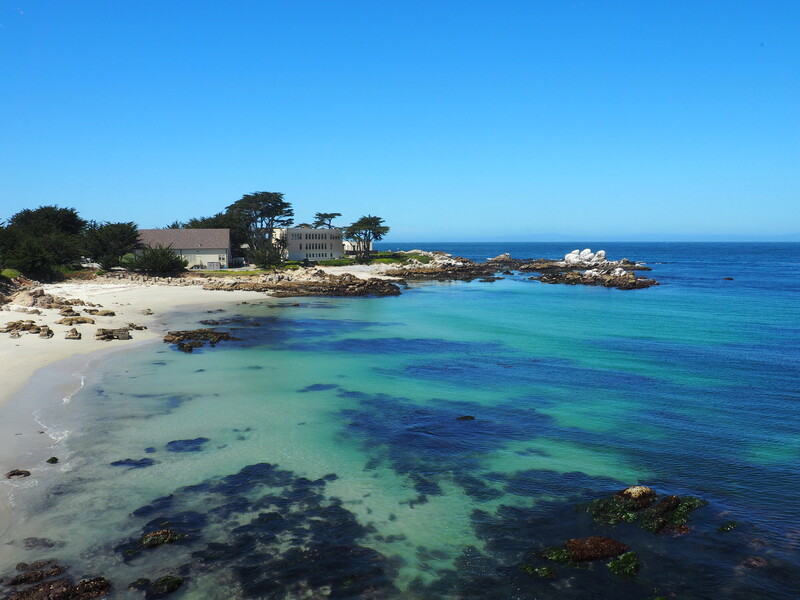 I love that CityPASS lasts for 9 days from when you first use it – much longer than the usual 48 or 72 hour passes you often get in cities – as it meant we had plenty of time to get to the ocean blue town of Monterey. Monterey Bay Aquarium is without a doubt the best aquarium I have ever visited. The brightly lit pools full of jelly fish slowly bobbing up and down in the water; huge rocky pools with penguins and sea otters splashing about; touch tables with baby sting rays and coral for learning about; and the most ginormous tank that felt like a cinema screen filled with swirling schools of fish, hammerhead sharks, sea turtles and the oddest looking fish in the world which only had a head and no tail! Every single display was out of this world and I could have stayed in this underwater wonderland all day. If you’re visiting San Francisco for a long trip or just for a few days like we did and plan on seeing as much as possible, then I highly recommend grabbing yourself a CityPASS. Those extra dollars you save can all go towards another delicious brunch! Lots of thanks to CityPASS and San Francisco Travel for hosting our visit to the lovely City by the Bay! And accommodation is so outrageously expensive too so even though it would have been nice to have longer there, my purse appreciated just the 3 nights! 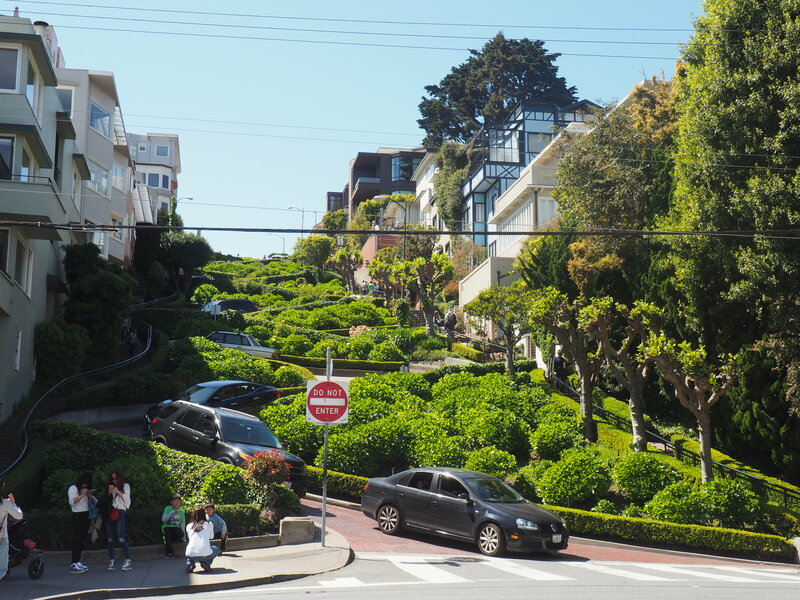 I was gutted that I didn’t get to see Lombard Street when we were there! It’s quite a fun little attraction but it is just a street after all. There are so many more interesting and fun things to see in SF! It’s a great city. And we were so lucky with the weather. Didn’t see a single bit of the famous San Fran fog! Thanks for sharing such fun photos of such a beautiful city!! One of my favorite places! Thanks Luci 🙂 SF is such a great city! Some cool sights included in the pass and so good that you can get into the Monterey Bay Aquarium too. Love your photos! Thanks Suzanne! I love the idea of adding in the aquarium even if it isn’t actually in San Fran.